Atletico Madrid will be looking to build on a thrilling 4-0 win over Deportivo Alaves when they host Girona at their Estadio Wanda Metropolitano on Tuesday evening. Los Rojiblancos have already suffered elimination in the Champions League knockout stages, meaning that they will be fully focused on the national championship in the season finale. It is well known that Diego Simeone’s troops are a real force to be reckoned with at home and seeing that they are eager to finish the season above their local rivals Real Madrid, home win should be considered. 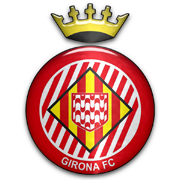 Girona, on the other hand, failed to impress in a 2-1 loss to Athletic Club and we do not believe that they are capable of spoiling Atletico’s party in the capital of Spain. A man to watch in the home team will be Diego Costa, who found the net against Deportivo Alaves. Jorge Resurreccion Merodio “Koke” has enjoyed a meteoric rise after coming through the youth ranks at Atletico Madrid, quickly becoming an important player for both club and country. Possessing impressive technical skills and very mature for his age, the highly rated midfielder is capable of covering just about any position in the middle of the park and he has been used as a central midfielder, left winger and right winger by both Diego Simeone and Vicente Del Bosque. 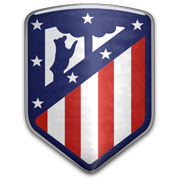 Koke has been a key member of one of the best generations in the history of Atletico Madrid, winning the 2013/2014 La Liga trophy and reaching the Champions League final the same year. Widely regarded as one of Europe’s best midfielders, it is only a matter of time before Koke will join an absolute top club and he is believed to be a primary target for La Liga rivals Barcelona. While playing alongside Xavi Hernandez at the 2014 World Cup, Koke is believed to be a worthy successor of the former Catalans star in the national team now that he has retired, and with 20 Spain caps to his name, his international career is just starting.